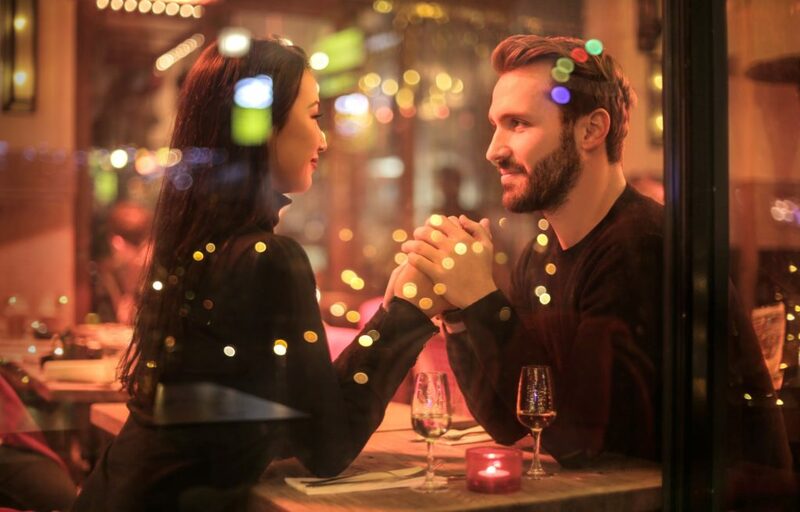 Date nights are the perfect opportunity to spend time with your significant other, especially when you both have really busy schedules and you often find it difficult to coordinate a time that you could spend together doing what you enjoy most. But what if you have already had a bunch of date nights and they are getting pretty boring? When you are running low on ideas for fun and romantic date nights, consider trying the ideas below, as they could help you spice things up and keep things interesting in your relationship (and that’s really important). Sure, as a couple, you might already have your list of favorite restaurants that you frequent often in order to indulge in the foods that you can’t get anywhere else. But, why not try something new and different for a change? Whether you are searching for the newest restaurants in Grapevine TX or you are in the thick of the restaurant scene in New York City, there are plenty of choices out there that you may never have considered trying before. So, head out for a date night at an Ethiopian restaurant where you can eat with your hands, try out some spicy Indian cuisine, or indulge in Mediterranean dishes at the new Greek restaurant in your neighborhood. Staying at home for date night doesn’t have to mean that you just sit on the couch watching a movie after getting some takeout. Switch things up and make each other laugh by making it a game night. Grab your favorite board games and play your favorite party games. You will feel like kids again, which is always refreshing, and this is a great way to renew your friendship and your passion for each other because you get to see a much less serious side of your personalities. Search for jazz clubs in your area and then make it a point to spend a date night at one. This is a great opportunity for you and your partner to get dressed up and spend a night together enjoying fantastic music in a really relaxed setting. Sit back and have a few drinks as you watch talented jazz musicians performing live. You will make great memories and you will feel as though you have been transported to a different time and place because the experience is much different than your typical concert. If you have ever watched professional ballroom dancers, you know that the experience of dancing together could be super intimate. So, why not give it a try on your next date night? There are likely to be many dance teachers in your area who hold regular dancing classes that you can join. Take a class to learn a new dance that you can perform together, and then practice that dance again and again at home after your date night is over. Learning together and moving together might be just what you need to take your relationship to the next level, so rather than just dancing at a club, consider formal ballroom dancing lessons. You could literally spice things up by taking a fun cooking class together. If you want to be able to cook for each other or you want to spend more time creating delicious meals at home, the right cooking class could teach you a variety of new skills and give you access to some yummy new recipes that you can start making right away. Plus, when you cook together, it is a great way to collaborate and help each other. And when everything is done, you get to tuck into the meal that you created together, so it really is a wonderful way to bond with the one that you love. Another way to set up a date night that you will never forget is by heading out into nature. If you are a fan of camping or if you have never experienced it before, consider going into a forest and spending the night together under the stars. Otherwise, you might choose to just find a local hiking trail so that you can go for a sunset hike and watch the sun go down from a lovely vista. Being out in the natural world and in a tranquil environment is an ideal way to get away from it all, especially if you live in a bustling city that makes it hard to slow down and enjoy quiet time with your partner. If you live near the water, why not head out on a romantic boat ride one evening? There are sunset cruises that you can take, during which you can enjoy dinner and dancing, and maybe even a little bit of wildlife watching during whale and dolphin cruises. And the best part is that when you want to get some fresh air, you could head out onto the boat’s deck and watch the moonlight dance on the water. You will be able to get away from it all for just a little while and maybe even capture some great new photos of each other enjoying your time together. Sign up for a couples massage at the spa, or hire a masseuse to come to your house instead. Massage is a fantastic way to unwind and release the tension from your muscles, and when you get massages as a couple, you can reap all of the benefits together. Plus, after your massage, you’ll be feeling calm and your muscles will be feeling a lot less tight, so you can head into the bedroom to really spice things up between the sheets. With the tips above, you could make your next date night a lot more interesting and a lot less boring. Finding ways to spice things up is the best way to keep the fire for each other burning bright, so do not hesitate to come up with some creative ideas that you can both enjoy.